According to 2008 surveys conducted jointly by the Vietnamese-American Community of Massachusetts, Inc. and VietVOTE of the 51,000 Vietnamese living in Massachusetts, there are approximately 32,000 or 63% Vietnamese who are U.S. citizens either by birth or through naturalization process. Of the remaining 19,000, 17,300 are lawful permanent residents (LPRs) by virtue of being green-card holders since the mid-1990s. In addition, of the 17,000 Vietnamese living in Dorchester, roughly 6,700 or 39% are U.S. citizens, mostly by naturalization process. 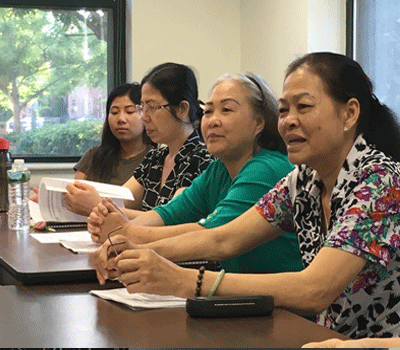 Of the remaining 10,300 Vietnamese residing in Dorchester, 8400 or 49.5% are green-card holders (LPRs) who have been here for more than seven years. Furthermore, recent statistics published by the City of Boston Election Commission showing that, of approximately 360,000 registered voters, only 4,200 or 1.2% are Vietnamese Americans. Of the Vietnamese registered to vote in Boston, only 1,200 or .33% live in Dorchester while the remaining are scattered in different neighborhoods. It is clear that the majority of the Vietnamese who are not yet naturalized to become U.S. citizens are (1) low-income, (2) living in working class neighborhoods, and (3) lacking sufficient English language skills to keep up with social demands. It is also clear that the majority of naturalized Vietnamese-Americans do not participate in the democratic process. It could be inferred that their lack of democratic participation results either from distrust or insufficient knowledge in their Civic rights and responsibilities. Facilitating Voting and Selective Service Registration workshops and application assistance. 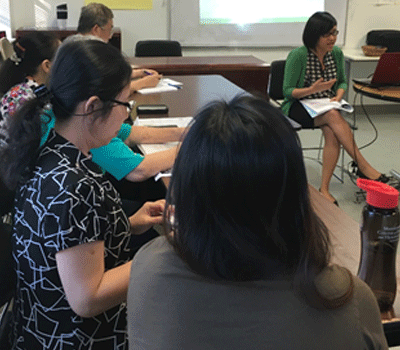 In a joint effort with the Immigrant Development Alternative, VACA is opening a citizenship Instruction class in August 2016 for immigrants pursuing citizenship. The class will be taught by an Immigrant Attorney practicing immigrant services in the Boston area. Check out the flyer for more information and call VACA at 617-288-7344 for registration.